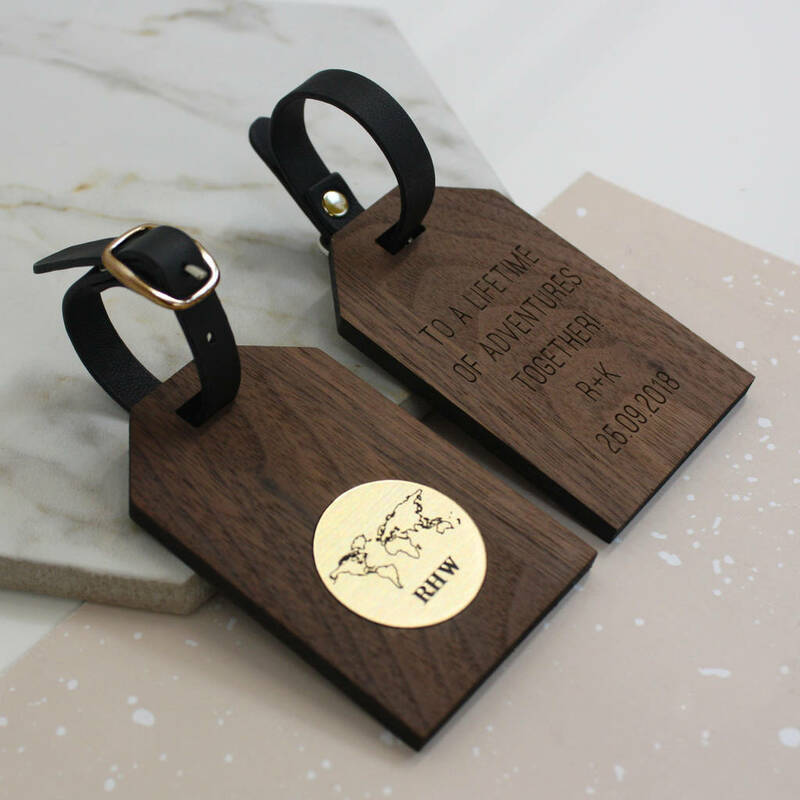 A set of two beautiful walnut wood luggage tags inlaid with brushed gold effect discs and etched with a world map illustration and initials. You can further personalise your tags with messages (up to 10 words each) etched on to the back. These could be messages of warm wishes, the date of a trip, the destination of the trip or an inspiring travel quote. Please enter your personalisations into the box provided. Please note that we make each personalised message all in capitals, due to the nature of the font. 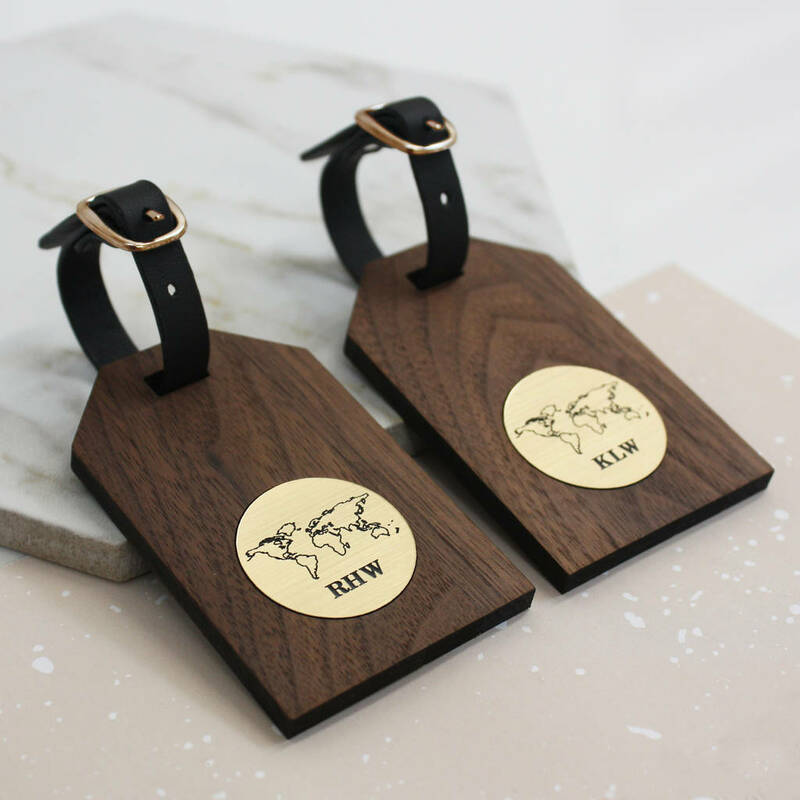 The luggage tags will be custom made for you in our Brighton studio and are made from sustainably sourced walnut wood attached to short buckle straps. You can choose between black, metallic gold or silver straps. 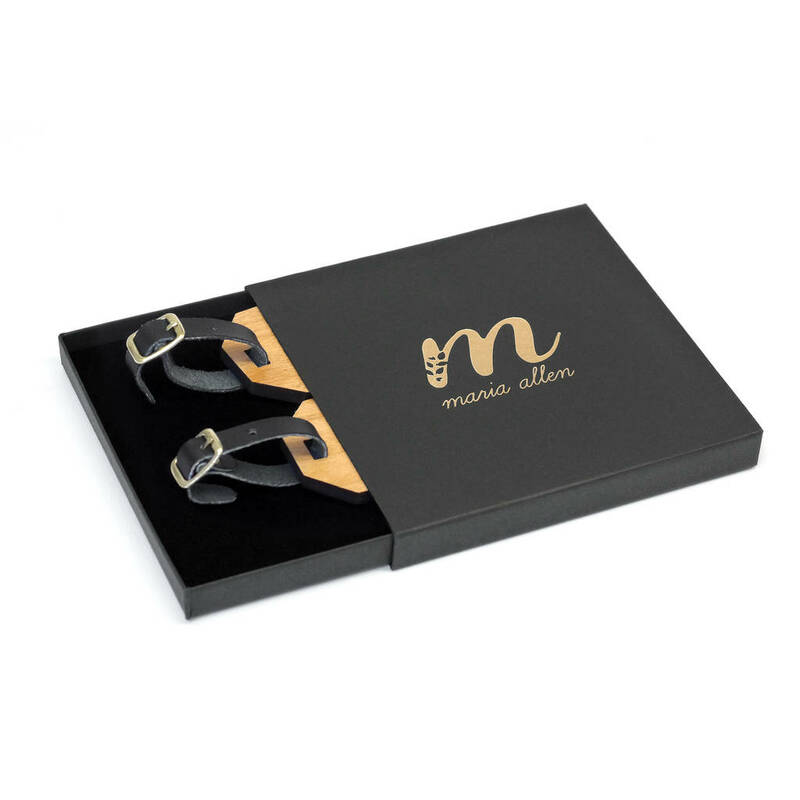 The luggage tags will arrive beautifully packaged in a branded black gift box.